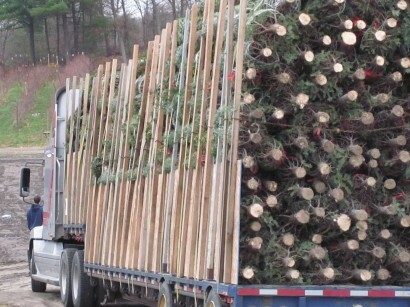 Yes… they are here… I saw the first truckload today. Christmas trees. I smiled when I saw the truck. That was before I thought about the whole holiday hub-bub that goes with them, and before I thought about global warming and the devastation of forests, and before I thought about winter weather-ice, rain, frozen slop, then more snow on top so that you can’t even see the ice- ergo-slip and fall. But wait, there is a bright side-the holidays also bring a refreshing pause from day to day life, maybe time for a tea with a friend, or a cherished family tradition or just time at home.